Quick sides are key to week night dinners. This dish takes a few minutes and will make everyone happy. Start by steaming carrots. Frozen baby carrots in a steamer bag will also work. Once carrots are cooked place in a large bowl with honey, salt and coconut butter. 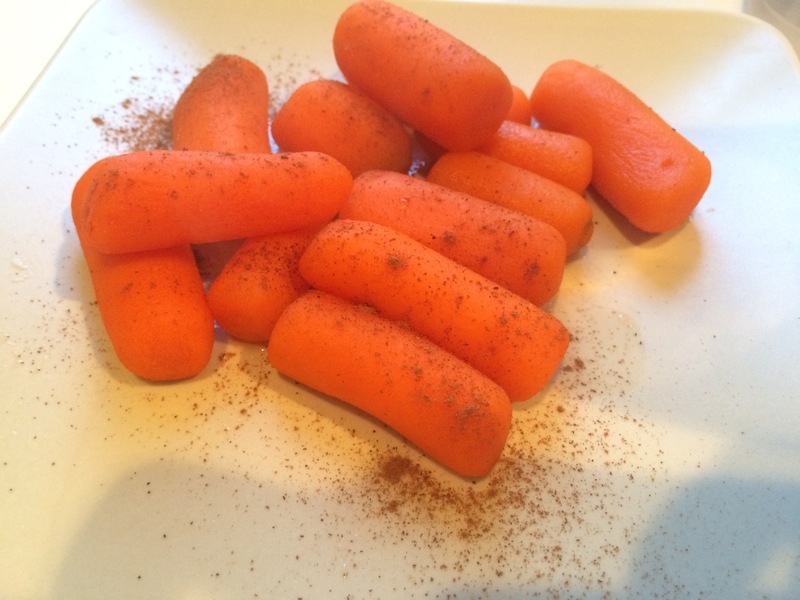 Toss everything together until carrots are fully coated. Serve warm.